Bulbs and Wheat Grass - Nothing says springtime like the pastels popping up from the ground as soon as the earth is warm. Tulips, hyacinths and daffodils are perfect choices for decorating your Easter table, especially since they are readily available at garden centers and supermarkets at this time of the year. Fill a 6-inch terra cotta pot with soil, and plant a spring bulb in the center of the pot. Next, plant wheat grass tightly around the bulb. Wheat grass is often available at garden centers, pet supply stores, or you could grow your own from seeds. 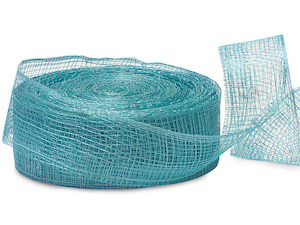 Finally, complete the look by wrapping a piece of brightly colored sinamay mesh ribbon around the top of the pot and tying a bow. Place several of these arrangements down the center of your table. For a dramatic look, go with one color and variety of bulb; for a more light-hearted expression of spring, vary the bulbs and colors. Bird's Nest with Robin's Egg Placecard Holders - Turn natural birds nests into a lovely placecard holder and party favor for your guests. Begin by dyeing hard-boiled eggs a pale, blue robin's egg color. After your eggs have dried, add speckles to them using a toothbrush dipped lightly in brown, non-toxic craft paint. Either dab the brush on the eggs, or pull back slightly to spray the eggs with the paint. Place one egg in the center of a bird's nest at each place setting. 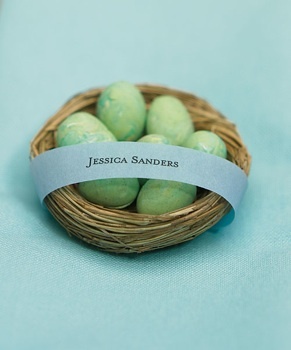 Write the name of each guest on a small, place card and place them under the eggs so that the name is visible. Easter Eggs and Flowers Centerpiece - For this centerpiece you'll use approximately three dozen eggs that includes one dozen brown eggs. Begin by selecting the cut flowers for this centerpiece - perhaps romantic gerbera daisies and peonies in similar spring colors. Next, dye 1 dozen eggs in a shade similar to the flowers. Start with a very wide-mouth apothecary jar, approximately 10 in diameter. In the center, insert a cylindrical glass vase that's approximately 1.5 inches shorter than the top of the wide jar, and fills just enough space to leave room for a single layer of eggs all around. Fill the space between the vase and the jar with the white, brown and dyed eggs. Distribute them evenly and fill the space up to the level of the vase. Pour water into the vase and insert flowers to cover the mouth of the jar. A Garden on Your Table - This centerpiece idea is created using three cake stands in three different sizes. Place the largest cake stand at the bottom, the middle stand on top of that, and the smallest at the top. Carefully place divots of planted wheat grass, that you purchased at a garden center or grew from seeds yourself, on all three levels of cake stands. Insert freshly cut spring flowers into the well-moistened wheat grass on the top tier. Hide colored Easter eggs in the grass on the bottom tier. Finally, place miniature, painted wood or porcelain spring animals you found at a flea market on the grass in the center tier. 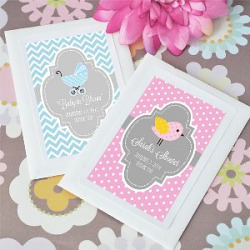 The ideas are a compilation from our pinterest board, to view the images follow us on pinterest.